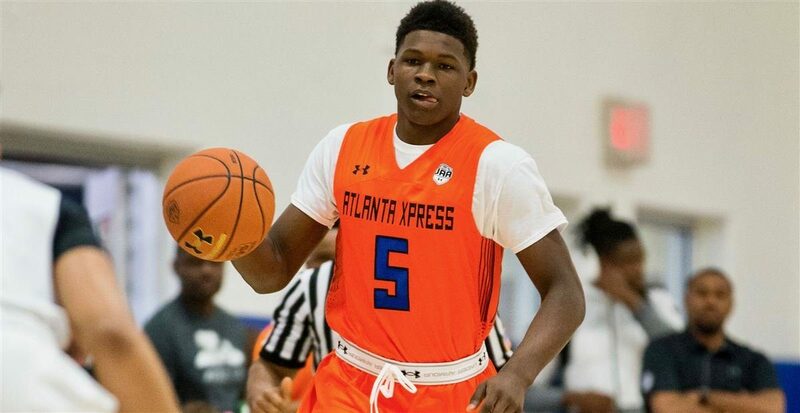 Georgia coach Tom Crean got a major piece for his rebuilding effort on Monday morning when Anthony Edwards, the 6-foot-5, 215-pound shooting guard from Holy Spirit Prep (GA), verbally committed to the Bulldogs. 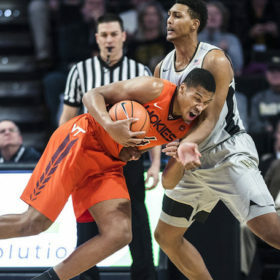 Edwards, who reclassified to 2019 from 2020 and is now the top prospect according to 247Sports.com, chose Georgia over Kentucky and Florida State. According to 247Sports.com, he is the highest-rated recruit to ever commit to Georgia. “I’ll be attending college basketball at the University of Georgia,” he said on CBS Sports HQ. Edwards said he made the decision after taking an unoffcial to campus. “I just felt the fans in the gym and everybody showing love so I just felt like I was home,” he said. Edwards will play about an hour and a half from home. According to 247Sports, Edwards is a five-star prospect, ranked No. 2 nationally, and is the No. 1 shooting guard. “Play-making, getting everybody involved and just making the team better,” he said of what he’ll bring. He is the projected No. 2 pick in the 2020 NBA Draft, per ESPN.com. With Edwards off the board, Cole Anthony, Jaden McDaniels and Matthew Hurt remain the uncommitted players in the Top 10 of the ESPN.com rankings.